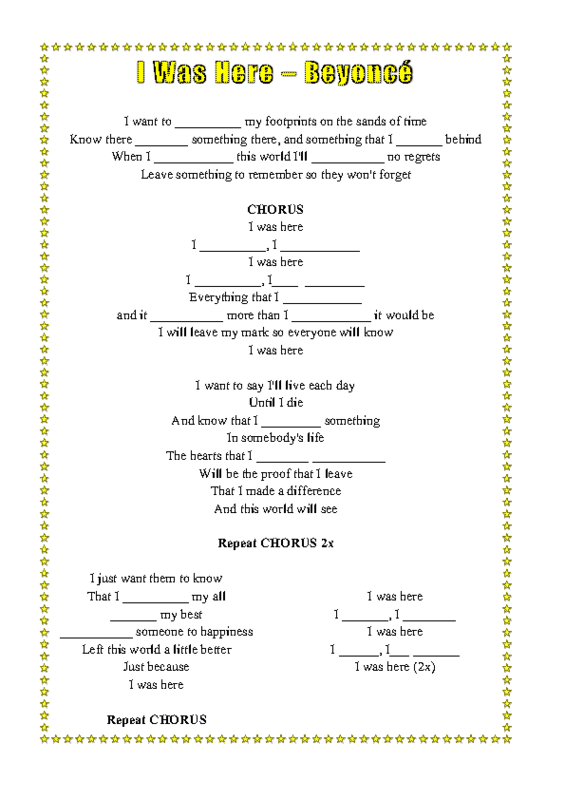 This is a worksheet where you can practice the use of the present simple and present perfect tenses using Beyonce song called "I was here". This activity will take at least 1 hour to be completed. 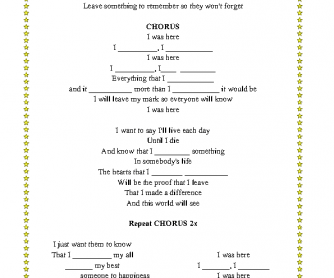 Don't forget to explain the differences between each tenses to students for them to have fun doing the activity.